Horse riding is an elegant sport. 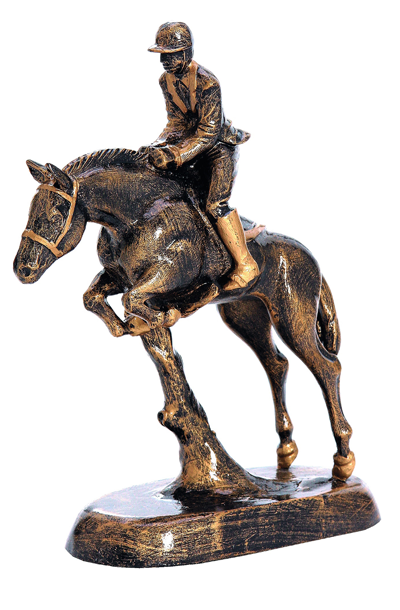 This resin statuette shows a horse and its rider overcoming an obstacle. Such a prize can definitely be a great substitute for traditional awards because it perfectly identifies the sport.